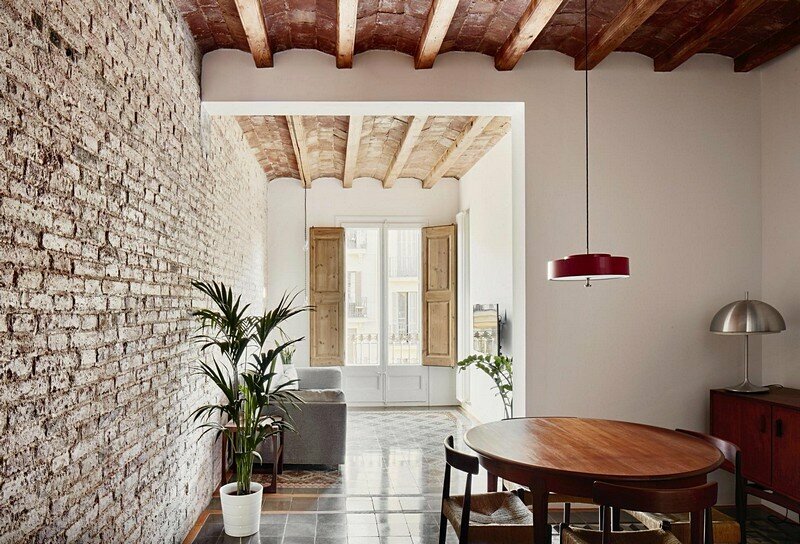 This project consists in the refurbishment of an existing old flat from the Eixample of Barcelona, transforming it through the elimination of the long corridor. 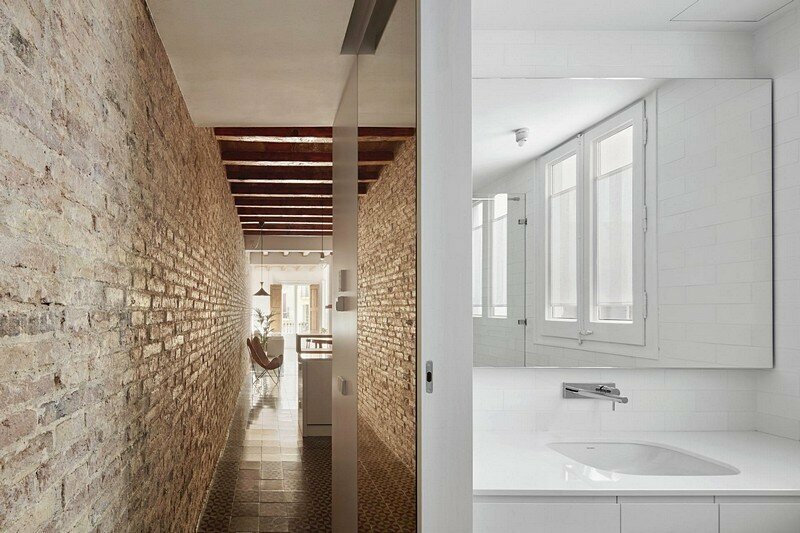 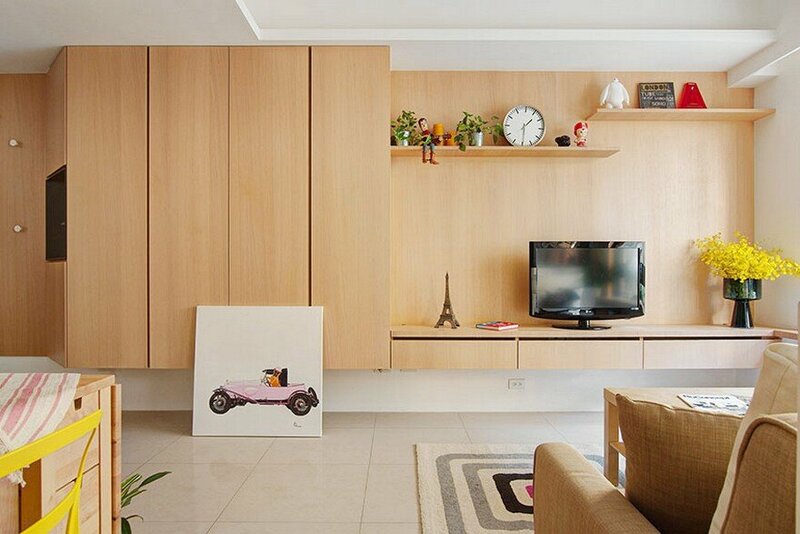 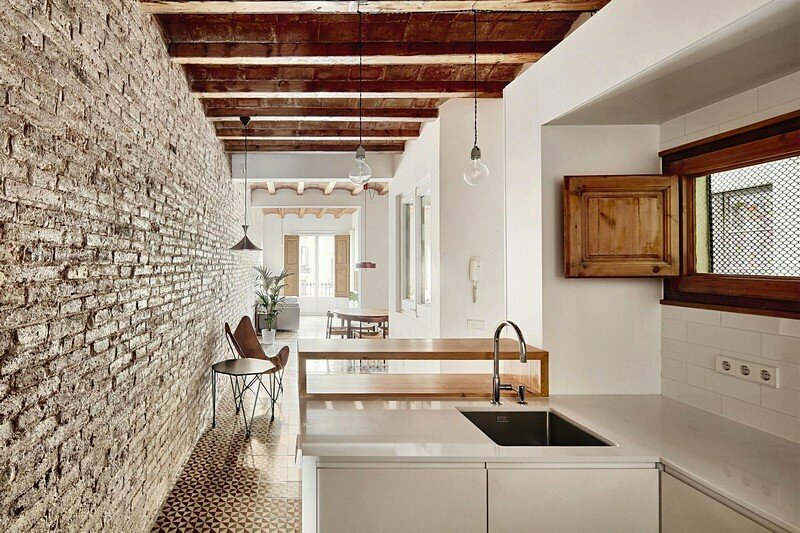 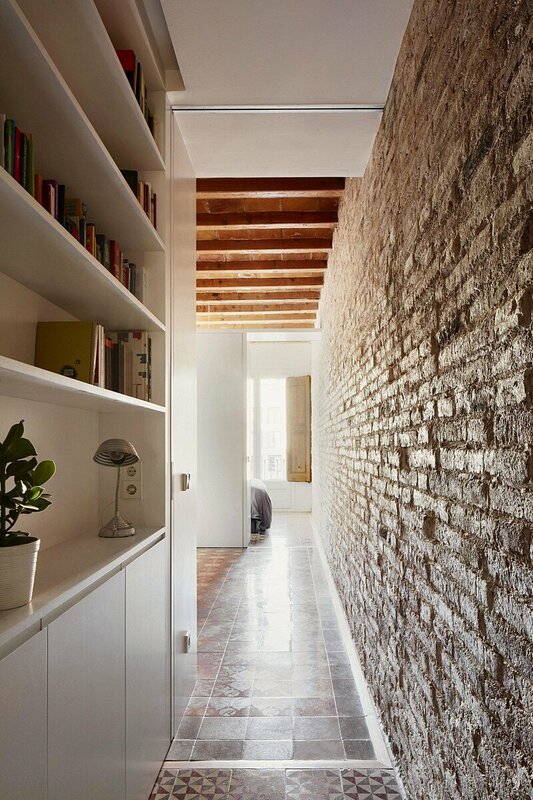 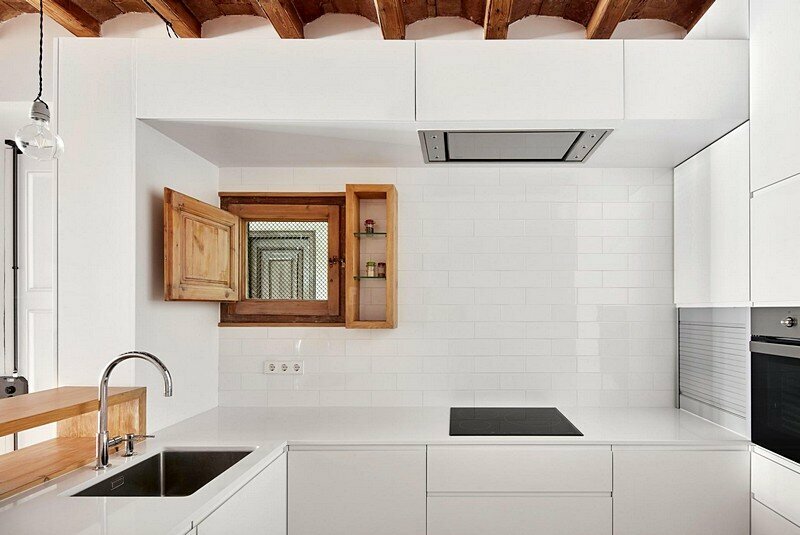 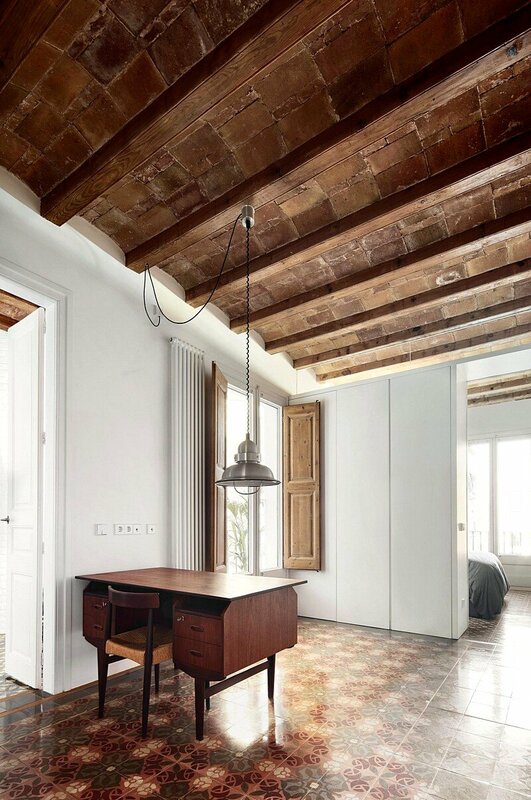 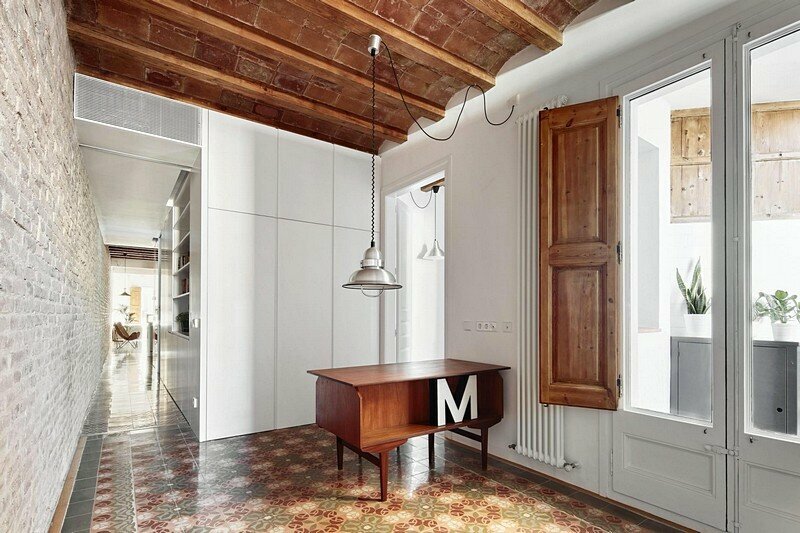 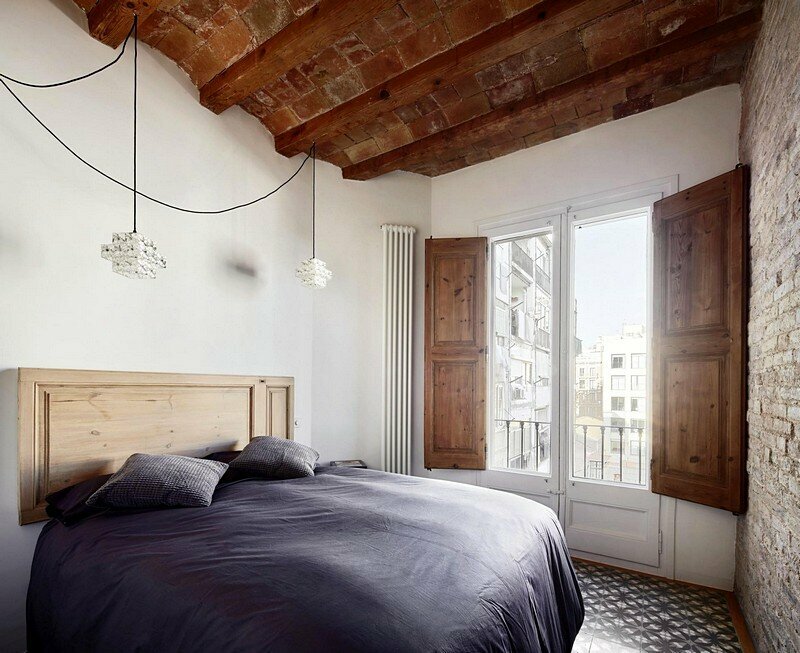 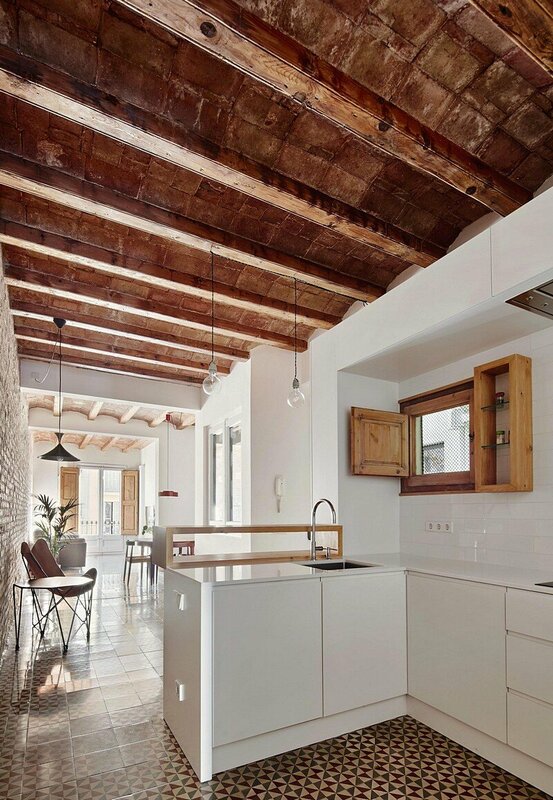 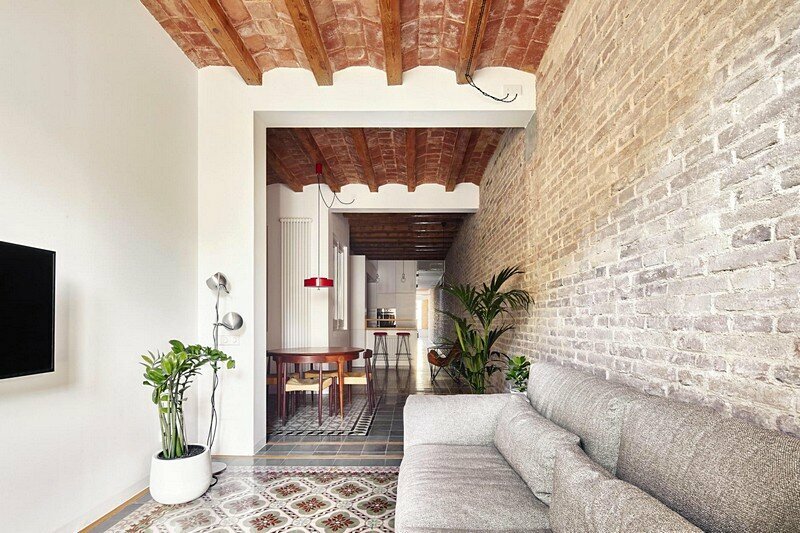 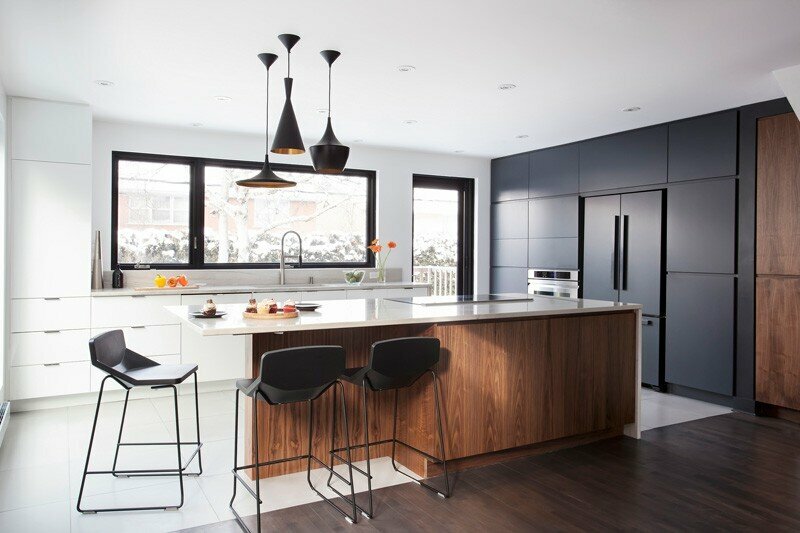 The renovation of this 27m long flat was completed by M2 Arquitectura at a cost of 600 euro / sqm. 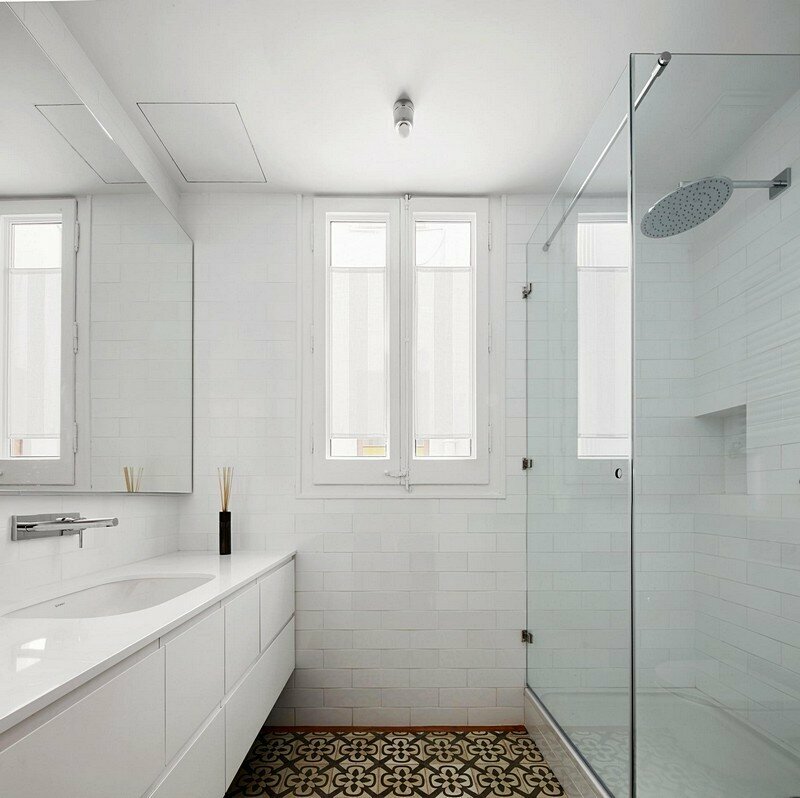 From the architect: We form a white and neutral central part with the bathroom and corridor, hanging technical ceiling, and integrated furniture, and we make it act as the filter of day and night areas. 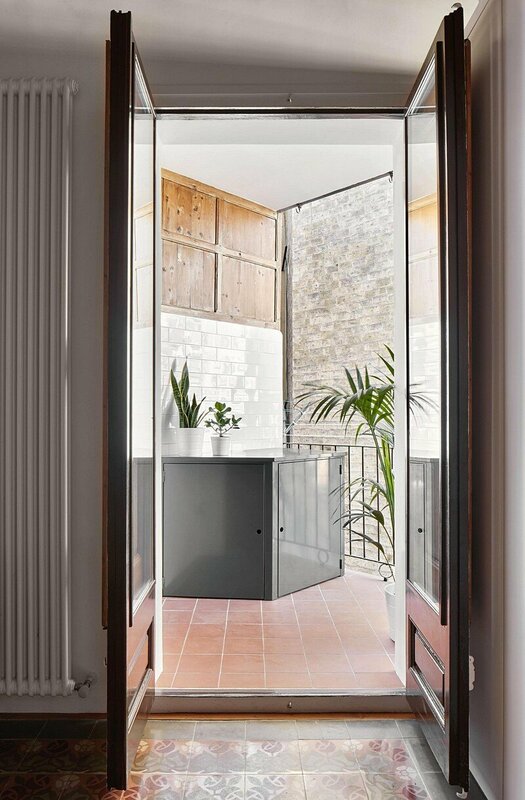 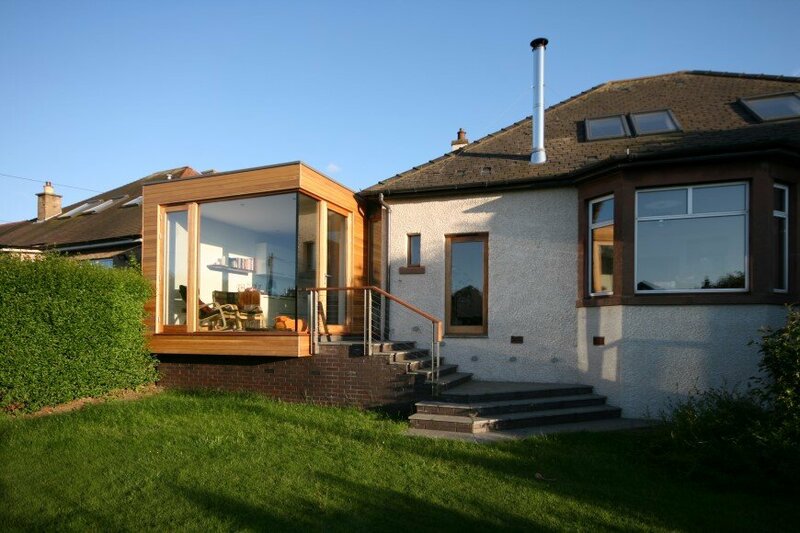 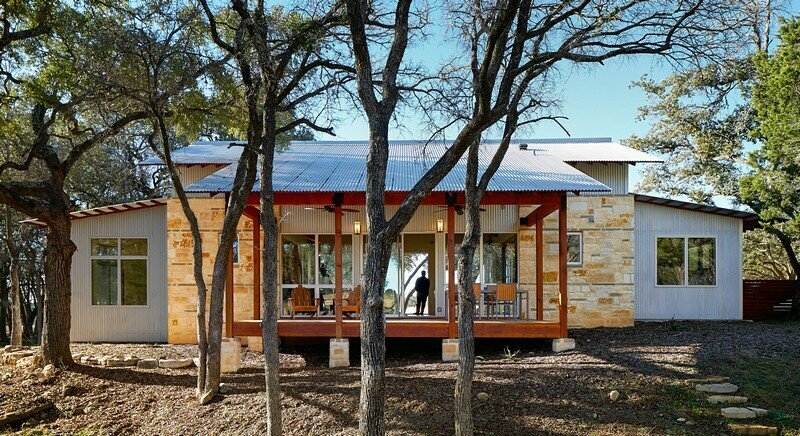 On its front part we attach the kitchen and we open it to the street spaces which we leave totally fluid. 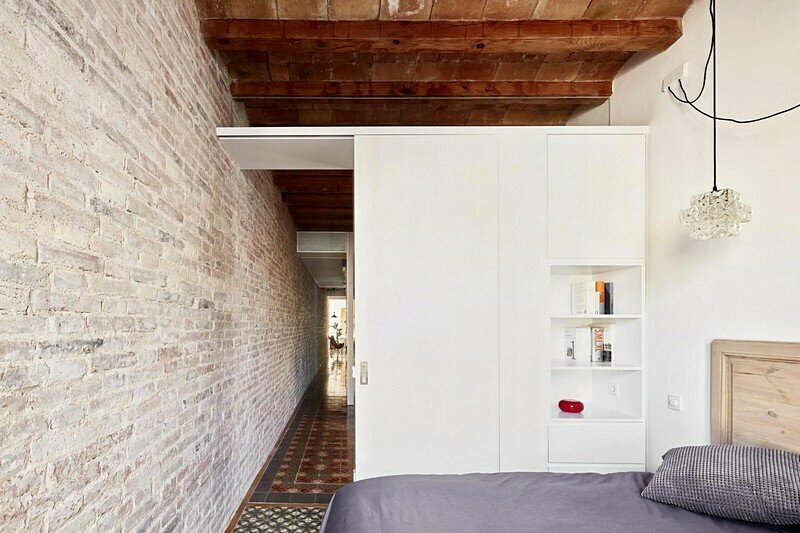 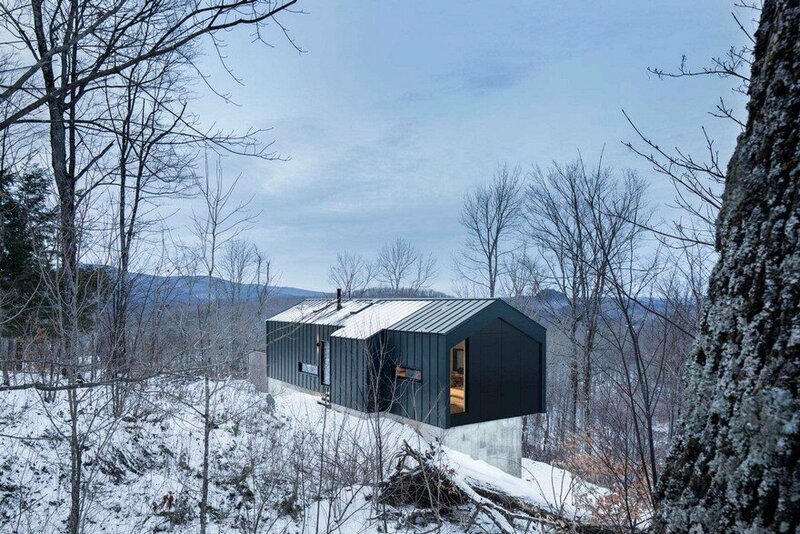 On its back part,we put a polyvalent room which acts both as studio and a wardrobe room, at the same time as an access to the dormitories and gallery. 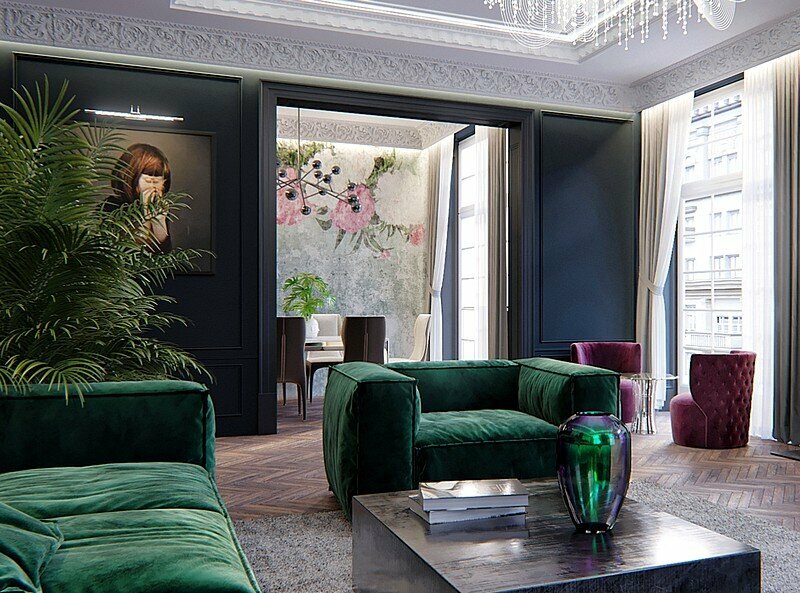 We design the partition wall of 27 mts with a clean white aspect without any elements throughout its entire length, making it contrast with the rest of the white walls, integrated furniture, and the hydraulic floor tiles of the various existing rooms framed with wooden pattern which marks the existing rooms.